My perennial Phlox have been a good stalwart flower for cutting and filling a vase this last few weeks. I found the pink colours had more scent but all the Phlox seemed to drink copious amounts of water (I wondered if water and scent were related). The Penstemon in the same vase as the Phlox was not as successful as they had a far shorter life. Another successful long lasting cut flower is the Alstromeria. The Reds performed better than the yellows but both lasted over a week. Our local garden center has been selling off Gerbera plants at £1 and I bought some just for the flowers that I could cut and put in a small vase. Even one flower in a bud vase looks good. There are now more buds to open and I think I got a good deal even though I will not bother to over winter the supposedly perennial plants. Gerberas come in a wide range of colors from light to dark yellow, orange, pink, brilliant scarlet and deep red ray flower centres. The variety and colour of the Peruvian Lily or Alstroemeria, makes a colourful and long lasting display. Once established the plants continue to provide a good supply year after year. Pull the stalk up from the plant to encourage more flower stems. I grow my Alstroemeria in large pots. Dahlias tend to flop a bit for me but Chrysanthemums can’t be beaten for longevity and impact. 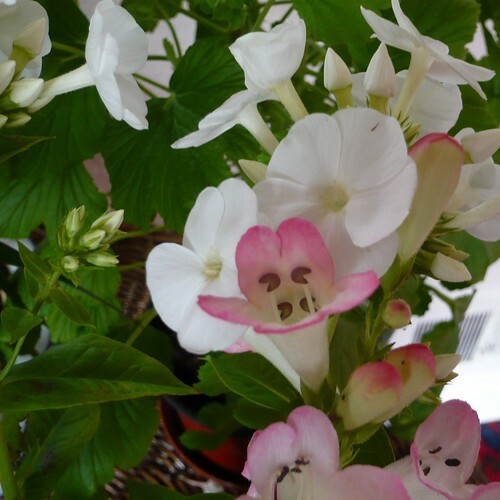 Tip – Grow flowers that are easy to cultivate and flower in profusion but also last well when cut. Spray Chrysanthemums can give maximum pleasure for minimal outlay. Oh, the fragrance of phlox. Who can resist them.Such a pretty bouquet. 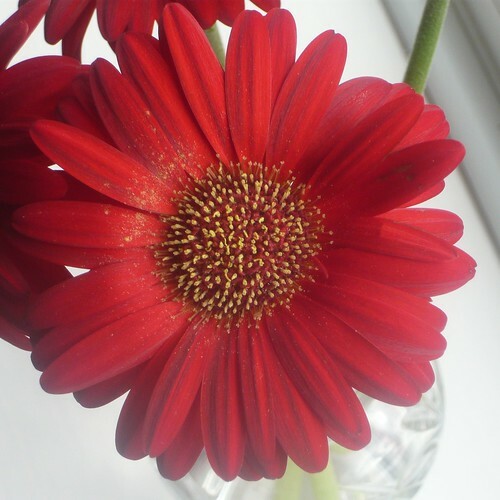 The Gerbera daisy is so beautiful.